These are just a few random samples of my entries and this went on up until late 1982 when the gig register did become a little hit and miss, perhaps my job or boyfriends got in the way. One thing I do know, taking into account Chris and Glenn’s solo tours, Difford and Tilbrook, Jools & his Millionaires, Big Band and Rhythm and Blues Orchestra, my catalogue of concerts would now have been in the hundreds. And within this inventory of concert dates there is also a collection of wonderful memories. When the band asked me if I would like to join them for drinks in the bar and Jools entertained us all by playing pranks on nearly every other member of the band. When Chris pulled me up on stage and handed me the maracas during their set. Where Glenn and I sat on the edge of the stage talking about our music tastes and I listened in awe whilst he told me about the time he saw Marc Bolan live. I had been a huge fan of T.Rex, but still being at school in the height of their musical career was never fortunate enough to see them play. 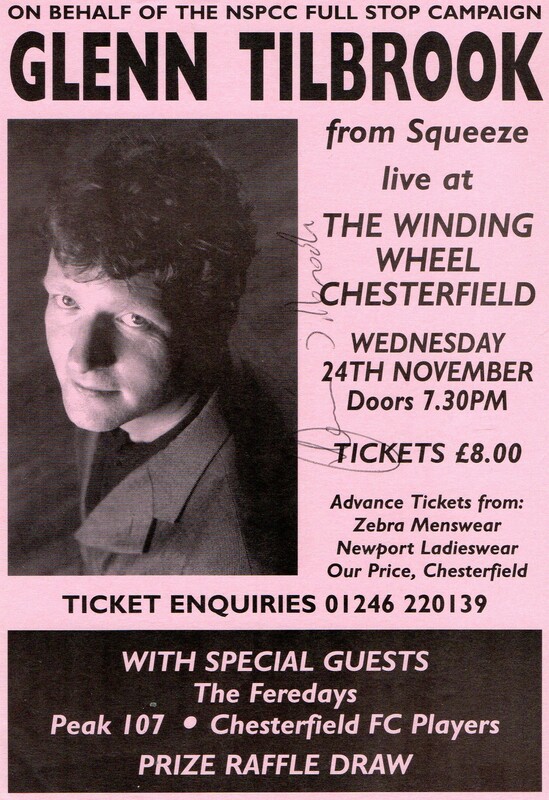 One of my fondest memories though is quite a few years later in 1999, when Glenn agreed to do a benefit gig for me. 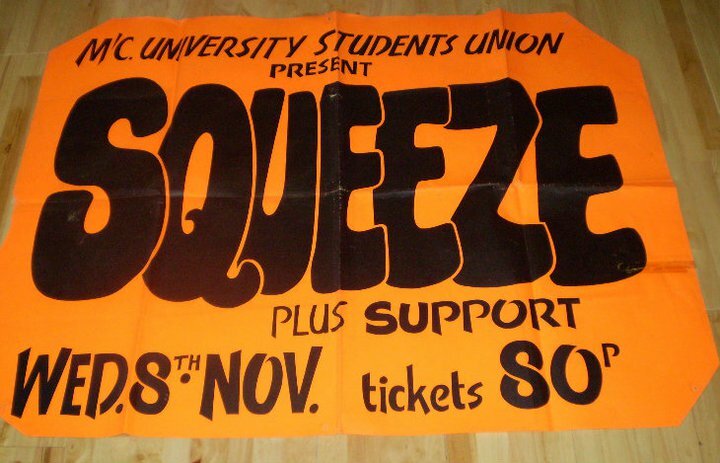 Squeeze were on tour and supporting Blondie at the Sheffield Arena on November 25th, so we arranged the event to take place the evening before, with all proceeds going to the NSPCC. The gig itself was incredible, raising well over a thousand pounds and although I will always be eternally grateful for this, that’s not the reason I treasure this time. My Father, who passed away in 2003, had been really looking forward to being there and supporting me at my first charity event, but sadly through his illness he couldn’t make it. Glenn and his lovely wife Suzanne were both staying over at my house and agreed to pay him a visit on their way to Sheffield. Tea and cake with a member of the band his daughter had followed since a teenager, my Dad was in his element. It was something he never forgot and mentioned to all of his friends. 3 Responses to "Recorded Memories"
Lovely story at the end, Sharon. Those are the sort of things you treasure for life.